Finest quality, Walnut-brown full grain, vegetable tanned Italian leather. NATURALLY COLOURED: Vegetable tanned Italian leather, coloured using a unique blend of bark, leaves and nuts, and then finished with a classic tumble milled finish producing a wonderful classic mellowed look. FULL GRAIN: 2mm Highest Grade full-grain Italian leather. Perfect for tooling, stamping and dyeing. 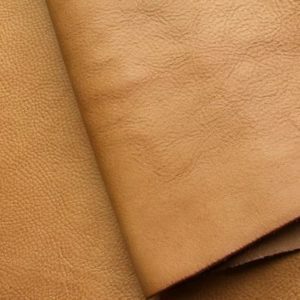 VEGETABLE TANNED: Vegetable tanning, uses a naturally occurring chemical in plants known as tannins in order to cure and preserve the leather. 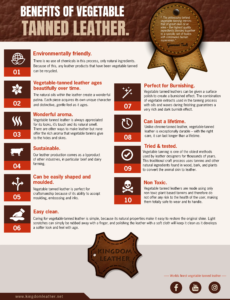 Leather produced by veg tanning readily accepts dyes and stains and is easily tooled, stamped, carved etc. 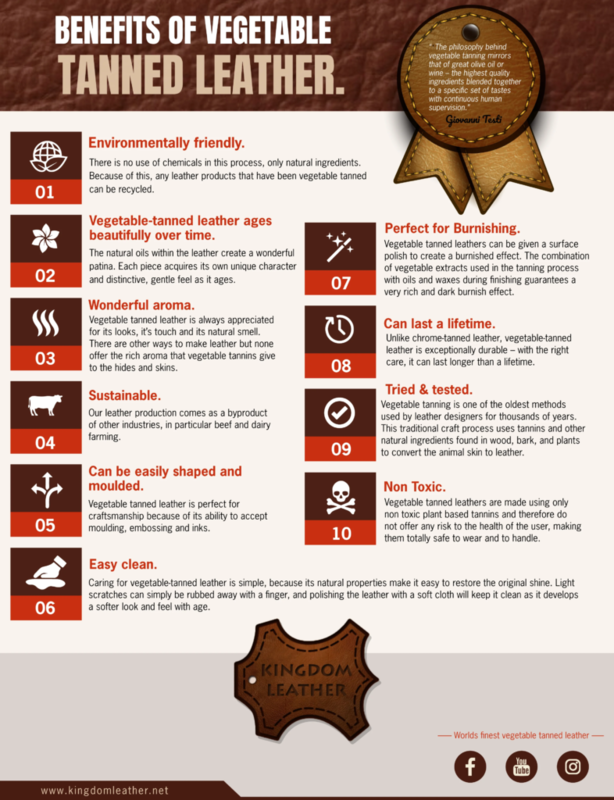 SUSTAINABLE: Our leather production comes as a byproduct of other industries, in particular beef and dairy farming. DURABLE: Soft, supple, breathable, flexible, and rugged all at once, it’s hard to beat for either everyday use or tough jobs. And, just like with its looks, these features only get better with age. 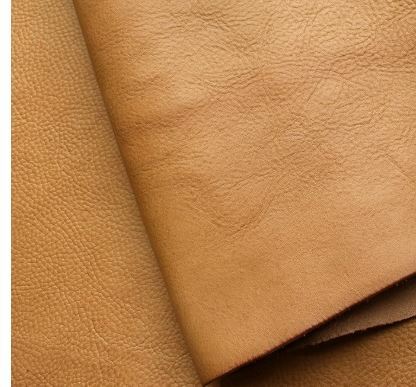 AGES BEAUTIFULLY: Aged leather takes on a richer and deeper coloration and texture, making it one of the only materials that becomes more desirable the older it gets. ENVIRONMENTALLY FRIENDLY: Vegetable tanning produces zero harmful waste and all tannins used are 100% naturally sourced and plant based.